With 40 years’ experience of designing, and installing burglar alarm systems we only use the highest quality/ reliable equipment supplied by our industries manufacturers to protect your home / business. We offer a free quotation with no obligation for your home or business. Our surveyor will design and offer you advice that will fit your requirements. Security 4 Wales also offers 24 hour monitoring / response 365 days a year of Intruder Alarm Systems, using the latest technology including Dualcom and Redcare. Access Control lets you identify unauthorised visitors. 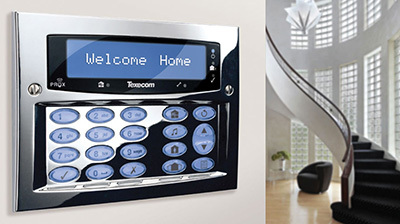 To restrict Access to your home or business to only authorised persons we install from a simple stand alone single door system up to a multi door networked computerised system to meet your individual requirements using either Digital Keypad, Finger Print or Proximity Units. 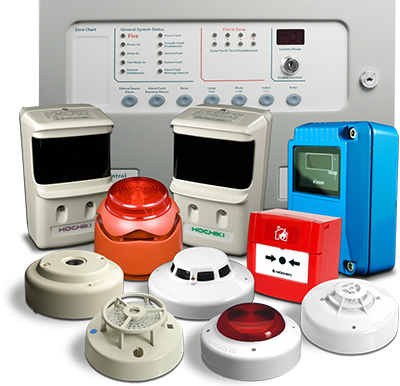 Our Fire Alarm Systems are professionally designed to specified requirements and installed to the required standards. We install Fire Alarms from HMO Buildings, Shops, Businesses, including Factories and Recycling Plant facilities. Our Fire Alarm Systems range from a basic Manual Call Point Systems up to include sophisticated Automatic Detection Devices. All Fire Alarm Systems can be linked to a Remote Monitoring Station for 24 hour Monitoring and Response. To protect and for the reassurance of residents in your care whether it be at your home, hospital or nursing home we install easy operational Nurse Call Devices and Display Indicator Units to enable rapid response in times of need. To ensure long term reliability and for insurance purposes we offer annual maintenance and service contracts on all our installations which includes 24 hour response facility.